As I mentioned back when I was just embarking on my adventure in Rwanda, Kinyarwanda is definitely one of the most difficult languages I have ever tried to learn. Understanding Kinyarwanda grammar entails learning 16 different noun classes (delineated by 16 unique prefixes) and verbs whose conjugations and objects are inserted before the root, as well as navigating the dangers posed by the fact that Kinyarwanda is tonal (slightly varied intonations completely change the meaning of words with the same spelling). 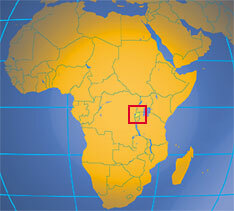 Kinyarwanda is a Bantu language and a member of the Niger-Congo language family. It shares some grammatical structures and vocabulary with Swahili, but seems to be infinitely more complicated and daunting to learn. I’m sure I’ve made a few mistakes, so I ask that any Rwandans or Kinyarwanda speakers reading please correct them! Ooooooooh, this is so cool. Thanks for posting this, I’m going to print it out as I’m trying to learn as much Kinyarwandan as I can…so the next time I go there, I can really surprise my friends. Murakoze cyane!!! NO MISTAKES. THIS IS GREAT. KEEP IT UP! Just a quick message to say that I read with a lot of pleasure all of your posts ! Having spent 6 months in Kigali in 2006 (see : http://boribana.over-blog.com/article-7350758.html, unfortunatly only in French !) and been back in 2009, I’m very attached to this country and I’m happy to be able to still “feel some of the temperature” of Rwanda thanks to your blog ! Keep it going ! I love your blog! It’s one of the very few blogs I’ve come across that don’t come off as overly ethnocentric. I came across it as I was checking out the Princeton in Africa program and I had to stop and read because I’m Rwandan and was curious as to what your experience was like in Rwanda. Also this post made me realize just how difficult Kinyarwanda is to learn. I always knew it was hard, but since I’m a native speaker, I know close to nothing about it’s grammatical structure, and the way you break down just the word “good” made me understand how hard it actually is. “Inshuro” means time in the countable sense. So the phrase “inshuro nziza” makes no sense. “Good times” would be “ibihe byiza”, “Ibihe” meaning “time” in plural, and in the general, uncountable sense. Actually, we tend not to use the word “inshuro” much, unless it’s necessary (which it rarely is). We just use the regular words for numbers instead. So instead of saying, “Nagerageje inshuro imwe” I would most likely say “Nagerageje rimwe”. 1. abana : a-ba-ana, would have given, normally, a-BA-ana BA-iza. Then a rule in KINYARWANDA says “a+i” becomes “e” and “a+a” becomes “a”, that’s why abaana baiza becomes aBana Beza for good children. 2. umwana : u-mu-ana, would have given, normally, u-MU-ana MU-iza. Then a rule in KINYARWANDA says “u+a” becomes “wa” and “u+i” becomes “wi”, that’s why umuana muiza becomes umwana mwiza for good child. 3. igitabo : i-ki-tabo, would have given, normally, i-KI-tabo KI-iza. Then a rule in KINYARWANDA says “ki before t” becomes “GI” and “i+i” becomes “yi” and “k+ yi” becomes “CYI”, that’s why ikitabo kiiza becomes iGItabo CYiza for nice book. for me no need to correct you for you are very intelligent .